When a person considers going to therapy, many people, understandably aim to find the most economical approach possible. For many individuals, this means utilizing their insurance benefits. 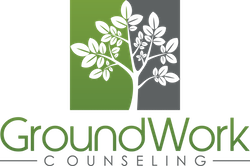 If you are in the need of psychological help, we strongly encourage you to seek appropriate treatment as soon as possible with or without insurance. However, we ask you to think about the following advantages of paying privately for your therapy, without involving your insurance provider. Insurance companies often imply with their wording that their company has put participating therapists, counselors and psychologists through a rigorous screening process so they can provide you with only the very best clinicians. Insurance companies also commonly indicate that certain therapists, counselors and psychologists have actively chosen not to work with your insurance company. The fact of the matter is that insurance companies often do not accept new providers into their network and when they do accept new providers, they do not carefully select therapists, counselors and psychologists based on expertise but instead consider location and quite commonly select clinicians that are the most economical choice for them. With large HMOs, a “one size fits all” method of treatment can often severely limit access to mental health coverage. This may mean that you will not find a provider who is a good fit for you. Many individuals chose to privately pay for counseling sessions so that they can remain in control over their sessions. If your insurance provider is covering your therapy sessions, your counselor must determine whether what you are talking about is pertinent to the diagnosis your therapist was mandated to give you. If it doesn’t correspond with your diagnosis, your therapist is obliged to redirect you to your symptoms of concern or your therapist will have to give you yet another mental health diagnosis code in order to justify treatment to the insurance company. In addition, with many insurance providers you have a limited number of sessions. If you exceed your allotted sessions, your insurance company may demand a review of your mental health records, which allows them to question the treatment you are receiving and if the insurance company determines that you are not benefitting from your sessions, they may make the decision to discontinue coverage for your sessions. Insurance companies may also require that you take medication before they will approve more therapy sessions for you. 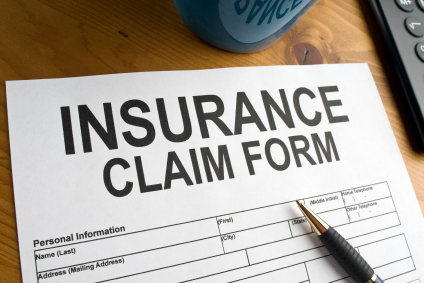 Insurance companies expect satisfactory documentation before they will pay (or reimburse) for your therapy sessions. All therapists, counselors and psychologists are directed by federal law to keep confidential records. When you make the decision to use your insurance company, counselors/therapists must ask you to sign a waiver that allows us to communicate this confidential information to your insurance company. At a minimum, this confidential information includes dates of service and a mental health diagnosis. In the event your insurance company requires preauthorization for treatment and/or reviews your file, additional information, such as therapeutic session notes, must be provided to your insurance company. It’s important to note that this information becomes part of your record and could be used by insurance companies to raise your insurance rates as well as prevent you from being able to obtain life insurance (N1), disability insurance as well as future private health insurance should you make the decision to become self-employed in the future. Insurance companies are members of the Medical Information Bureau (MIB) and medical conditions and mental health disorders are reported by the insurance companies to the Medical Information Bureau. This information, including mental health diagnoses, may not only have an effect on your future insurance coverage but it can also affect your eligibility into the armed forces and can even negatively affect your driving record and ability to participate in risky sports. When you apply for health insurance, life insurance or disability insurance, your perspective insurance provider obtains a report of your records from the MIB. This is information is particularly important when you are making a decision about therapy for your children. Because insurance reimbursement rates are low, paperwork is time-consuming, and coverage is tightly managed and limited, more and more counselors, therapists and psychologist are making the decision not to participate in managed health care insurance networks. This may affect your ability to get the best care possible. Keep in mind that contrary to popular belief, therapy does not have to be a never-ending process. Cognitive behavioral therapy (CBT) is time-limited and typically briefer. With cognitive behavioral therapy, your therapist works with you to learn new coping skills and once you master these skills and see positive changes in your life, therapy comes to an end. With cognitive behavioral therapy, the goal is to teach you to become your own therapist.